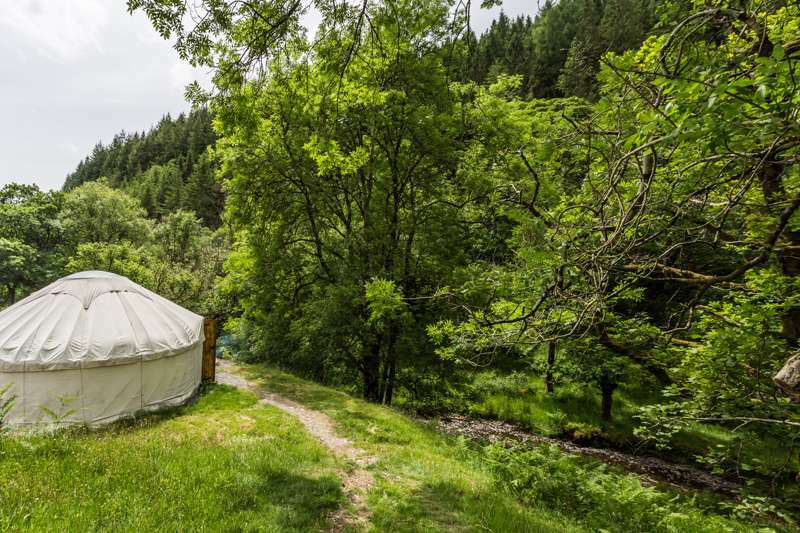 Off grid and secluded, this romantic yurt by a sparkling river in Wales’ Dyfi forest offers a comfortable natural-world getaway. Our River yurt is in a gorgeous location, nestled close to the river. It's a lovely space for a romantic getaway or for families to enjoy. As with all our yurts and tipi, it is in its own secluded part of the site, well apart from all the other spaces so you won't be disturbed during your stay. Outside is your private wood-fired outdoor bath so you can enjoy a hot soak in the open air with stunning views! There's also an outdoor fire and seating area so you can really make the most of the clear night skies. Inside, the yurt has a lovely hand-made double bed with comfy mattress, organic bed linen, cushions, a coffee table, sheepskin rugs, a hand-crafted wood burning stove (all wood and kindling provided), lanterns and a gas stove. Cutlery, crockery and utensils are all provided for cooking. Outside you have your own private shower and eco-loo unit fed by fresh spring water from further up the hill.